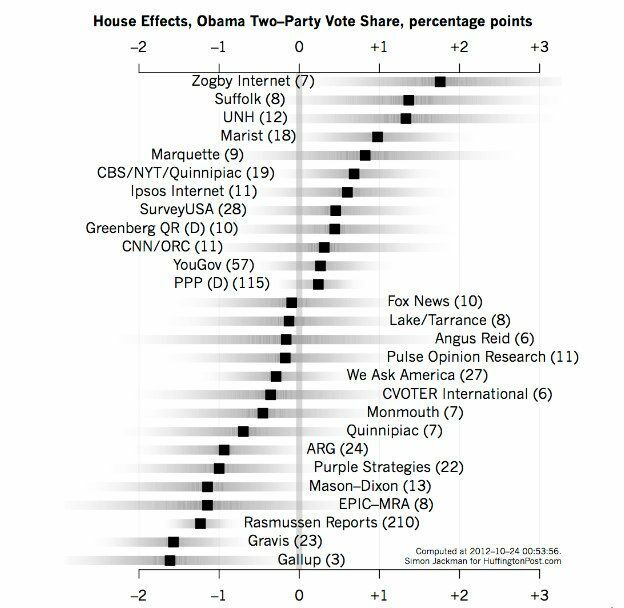 As you can see from the chart, Zogby Internet polls tend to favor Obama by just a little less than 2 percent. Gallup polls tend to favor Romney by a similar percent. So, you should subtract 2 percent from Obama’s rating in Zogby polls and add 2% to Obama’s rating in Gallup polls.